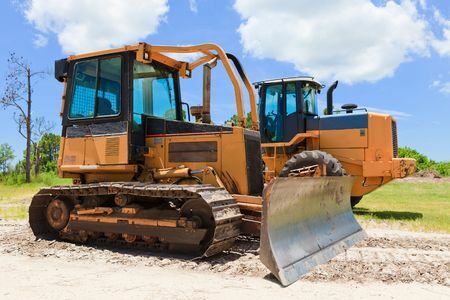 Five Reasons to Buy Heavy Equipment at Auction | Wilson Auction & Realty Co, Ltd. Heavy equipment is essential for work in a wide range of construction industries. This equipment has transformed the construction and mining industries throughout the years by allowing greater efficiency with fewer workers. Buying equipment at an auction offers many benefits to businesses that are looking to replace broken or worn out equipment or expand their machinery inventory. Let’s take a look at five great reasons to consider buying your heavy equipment at auction. Heavy equipment is an essential and valuable asset for construction businesses, but it is also expensive. Buying equipment used at auction allows contractors to stretch equipment budgets by providing a great value on purchases. Auctions give buyers a chance to get quality machinery at less than retail value, meaning that often businesses can land a discount on the equipment they need. Dealing with professional auction staff can make the entire buying process more pleasant and predictable. There is no need to deal with unknown sellers, risk potentially fraudulent transactions, or deal with sellers who do not understand the needs of buyers. Plus, with an auction, there’s no haggling and no hard sales push – bid on only the items that you and your business needs. Buying used heavy equipment lowers the purchase price and limits depreciation. New equipment depreciates significantly before it is even used on the first job site. Purchasing used equipment at auction, on the other hand, avoids the initial depreciation while still allowing for many years of reliable service. Heavy equipment auctions provide an opportunity for buyers to see a wide variety of equipment that may not be available at local equipment dealers, including older models that are known for their reliability or multiple types of machinery that is capable of performing similar tasks. This diversity of selection provides an opportunity to look at equipment that you may not otherwise consider and compare the prices and features side by side all at once. Buying used heavy equipment at auction allows buyers to take advantage of more choices. In addition to equipment from different manufacturers, auctions may have equipment of varied age and value. This means that you can approach an auction with an open mind and consider the different pieces of machinery that might work for your business and plan your bidding strategy accordingly to add the capabilities you need at a price you can afford. Wilson Auction & Realty Co. is the auction company of choice for your heavy equipment needs. Our team members have more than 150 years of combined experience in the auction industry, which means that buyers and sellers alike can be confident when participating in one of our auctions. Contact us today by calling us toll-free at 866-870-5500 or 419-636-5500 to learn more about our heavy equipment auctions.